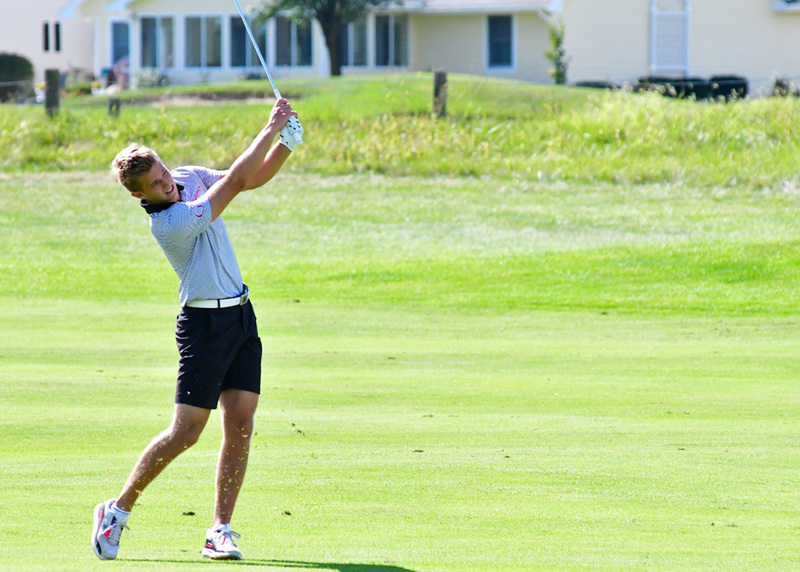 WARSAW – No team showed more improvement than Grace’s men’s golf team at the NCCAA Midwest Regionals. 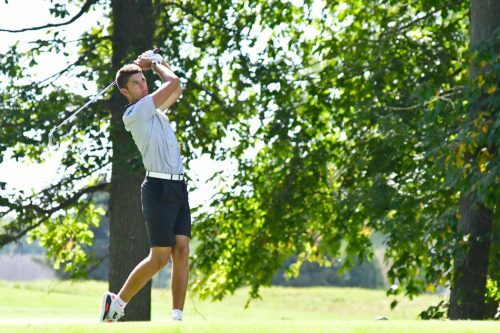 The Lancers bettered their score by 21 strokes between rounds of the two-day regional to fourth at Stonehenge Golf Club. Grace struggled at its home course on Monday, slipping to last place with a 321 after the first round. But the Lancers improved dramatically, carding a 300 on Tuesday. Tristan Nienhuis led Grace’s charge on Tuesday. After shooting 77 in his first round, Nienhuis sizzled on Tuesday with a 68 to finish in fifth place overall. His three-under 68 was tied for the best round in the tournament. Chad Spencer was the team’s steadiest golfer, finishing with a 153 which included a first-round 74. Cameron Bates bettered his score by nine strokes between rounds, carding an 85-76 to finish third for the Lancers. Freshmen Tim Rata (164) and Isaiah Brown (168) rounded out Grace’s scoring in their first collegiate regional qualifiers. Brown impressed on Tuesday with a 77. Also playing as individuals in the tournament were Camden Gongwer, Jacob Kennedy, Peyton Long and Max Leary. Gongwer had a strong showing with a 78-77, good for 18th-best in the field. The Lancers take a few weeks off before their next tournament with the Taylor Invitational on Oct. 16-17.